The Le Letty campsite ****, with its wooded 11-hectare estate, enjoys an exceptional geographical location, by a beautiful sandy beach opposite the Mer Blanche lagoon, and close to the Iles de l’archipel des Glénan (Glénan Islands archipelago), It is heaven for lovers of nature, seeking peace and rest, but also sunshine and warmth! 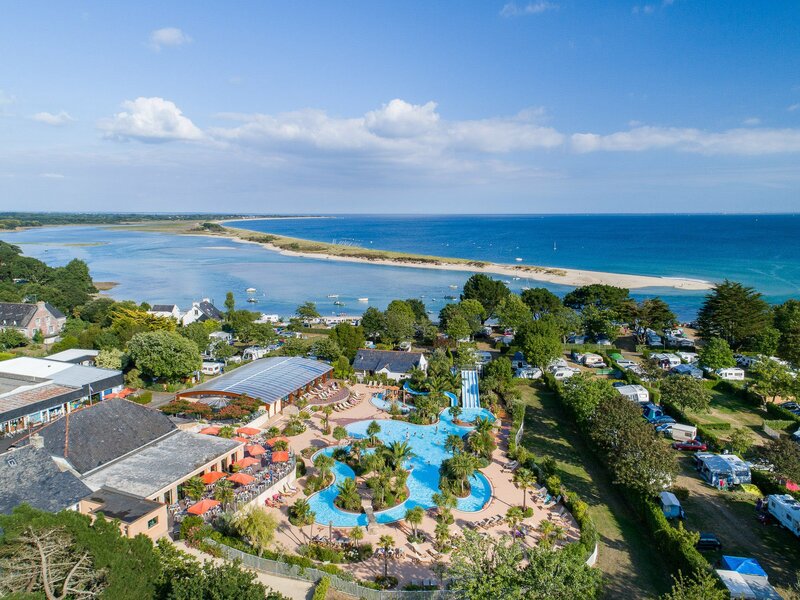 A campsite with a multitude of activities, and where you will be able to find one of the most beautiful aquatic parks in France! There is 100% Wi-fi network coverage across the entire campsite! An exceptional location in Bénodet, opposite the Mer Blanche lagoon and the Glénan Islands archipelago. 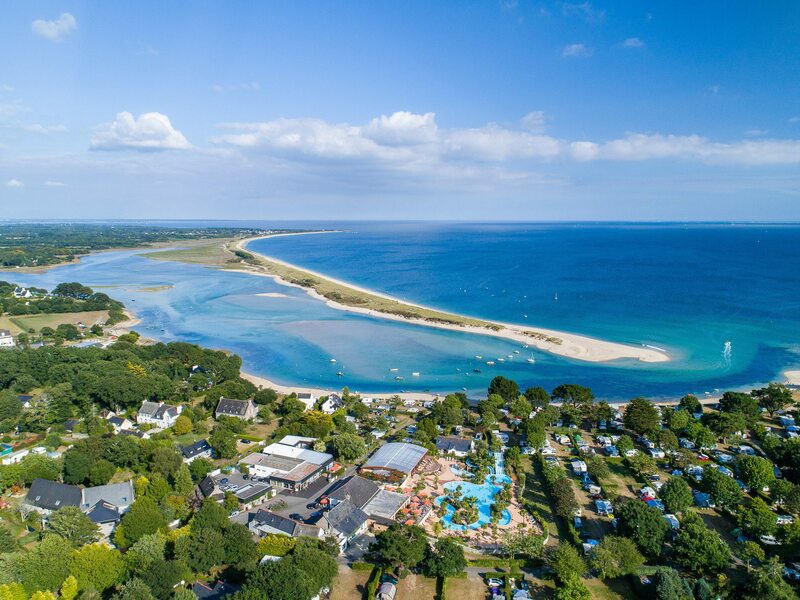 A waterfront campsite in Bénodet, every year Le Letty opens its delightful 11-hectare campsite for you, which is located by the beach of the same name, in Bénodet. Green and well maintained, you will find all the charm of a traditional campsite, with spacious plots some enjoying an ocean view, and always quality facilities. However, there are no mobile homes on the campsite. 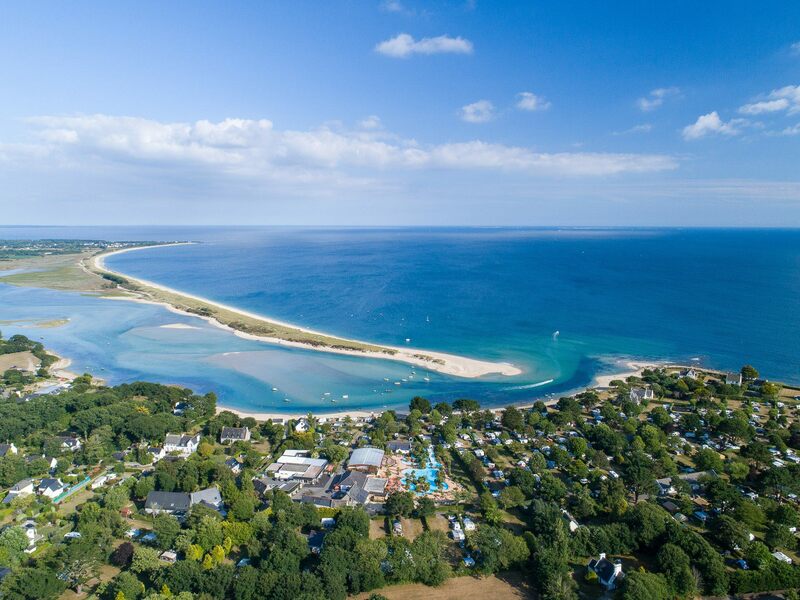 Indeed we are a campsite without mobile homes in Brittany, and although we do indeed have some holiday rentals, these solely consist of furnished Lodge tents and caravans, which enables us to retain the original spirit of camping! 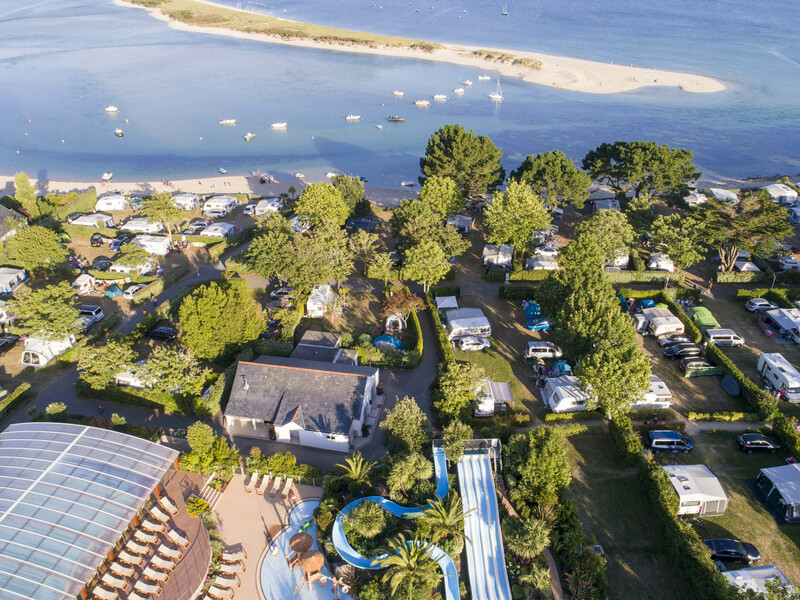 The Le Letty campsite is located less than 10 minutes on foot from the town centre of Bénodet. You will find retail outlets (including bars, restaurants and other such traders), a casino, a thalassotherapy outlet, a marina, a cinema, a museum and other attractions there. Bénodet, a 5-star seaside resort, is an ideal destination for your holiday. It is at the meeting point of the most beautiful river in France, the Odet river, with the Atlantic Ocean. A few miles offshore of the coast, the Glénan Islands archipelago is a genuine miniature heaven on earth. The maritime cruises company Vedettes de l’Odet will take you there by boat from the Port of Bénodet. The same company also offers cruises on the Odet river. There is an automatic ticket machine available to you, for purchasing boat trip tickets, on the campsite. You also have the possibility of hiring a boat at the port of Bénodet. During your stay on our campsite, there are numerous possibilities for trips out and recreational activities on offer to you! Feel free to ask our advice. We are here to ensure that you have an unforgettable holiday in Finistère! Although our precise address is “Chemin de Creisanguer”, this address is unknown to several satellite global positioning systems. The address “32 Rue du Canvez” will enable you to arrive opposite the Le Letty campsite. By car, from the N165 linking Nantes to Brest, take exit 51 to Concarneau. Next follow for the direction of La Forêt Fouesnant, then Fouesnant. and then Bénodet. On the Fouesnant road, at the roundabout for the Biscuiterie de Bénodet, take the Route du Letty road and continue to the entrance to the campsite.